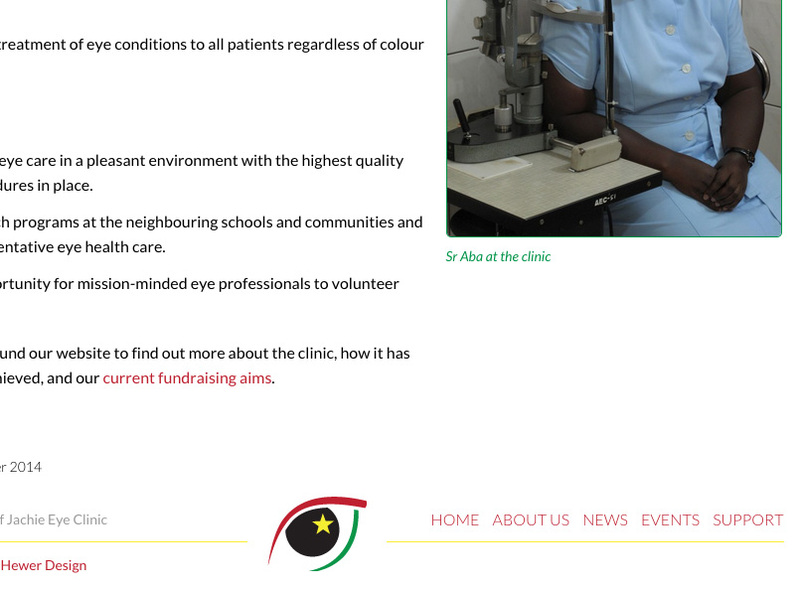 This responsive website project was undertaken to raise awareness of Jachie Eye Clinic and it’s work in Ghana, West Africa. 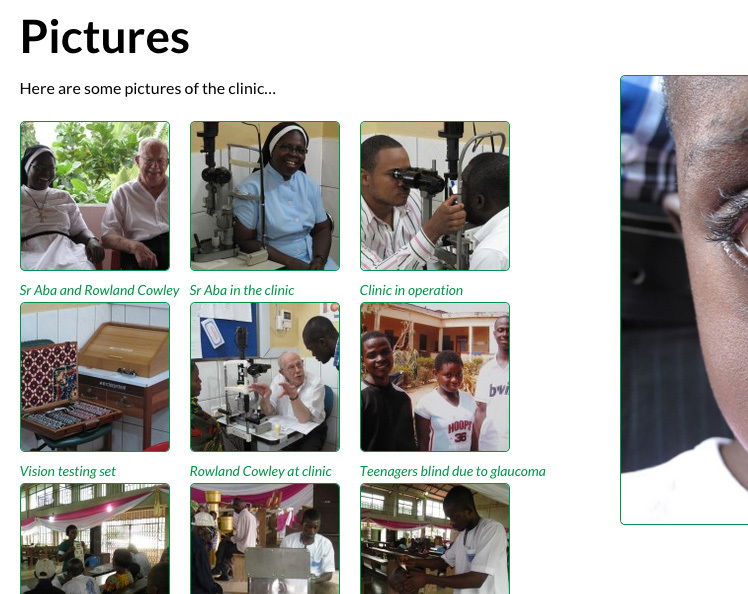 The design of the site is intentionally simple but also flexible to support the ongoing development of the clinic. 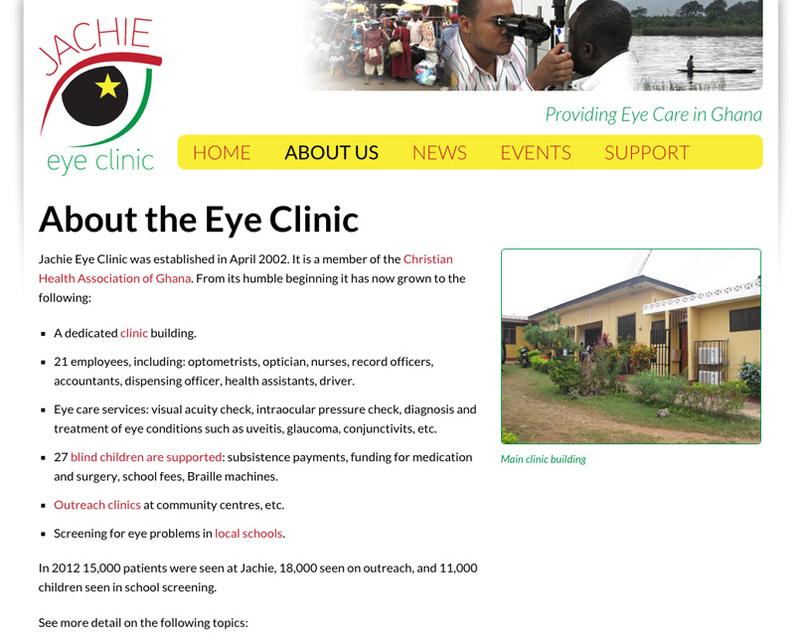 The Jachie Eye Clinic website is built upon a responsive framework to deliver user-friendly, optimised content regardless of the device being used to viewed the website. 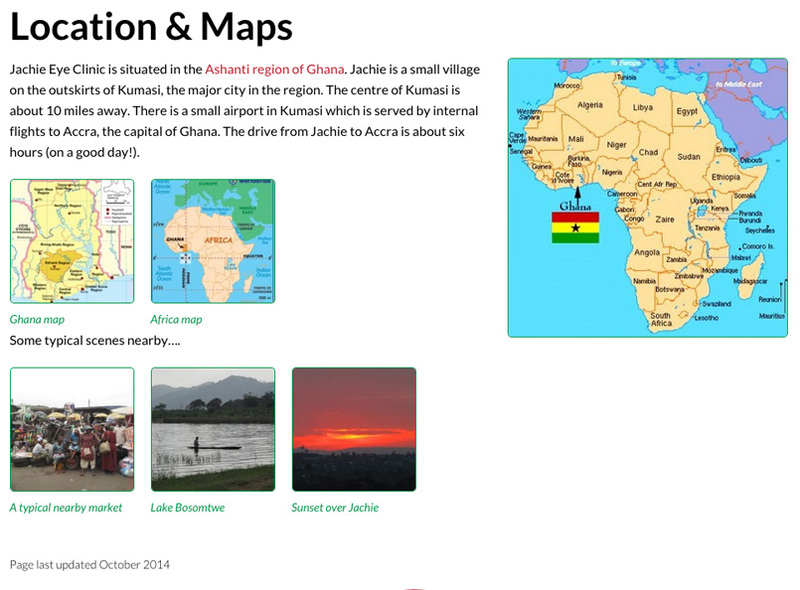 Because of this the site can be as easily accessed and read on a smart phone as it can be on a large computer monitor. One example of the responsive framework is the top navigation dynamically changing from a horizontal list to a drop down menu, as the device width reduces. This site uses WordPress as a content management system to give the client full control over making updates and additions to the content of the website.